Ceramic incense bowl with blossom motifs on side panels. 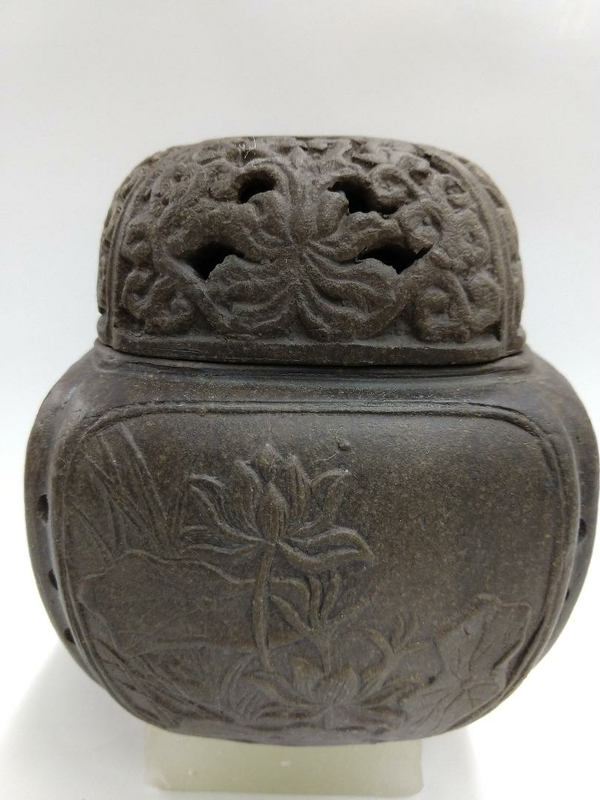 Lid with intricate flower pattern. Cut out vents on lid and sides of panels. 4" wide and 4 1/4" in height.